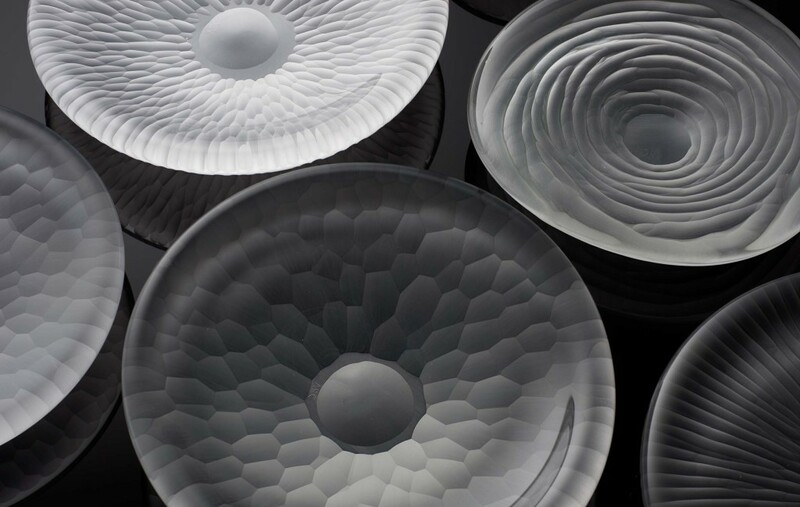 The Hexa collection of glass plates is inspired by the experience of looking at forms through water, seeing textures and shapes shift with the depth or disturbance of the surface. 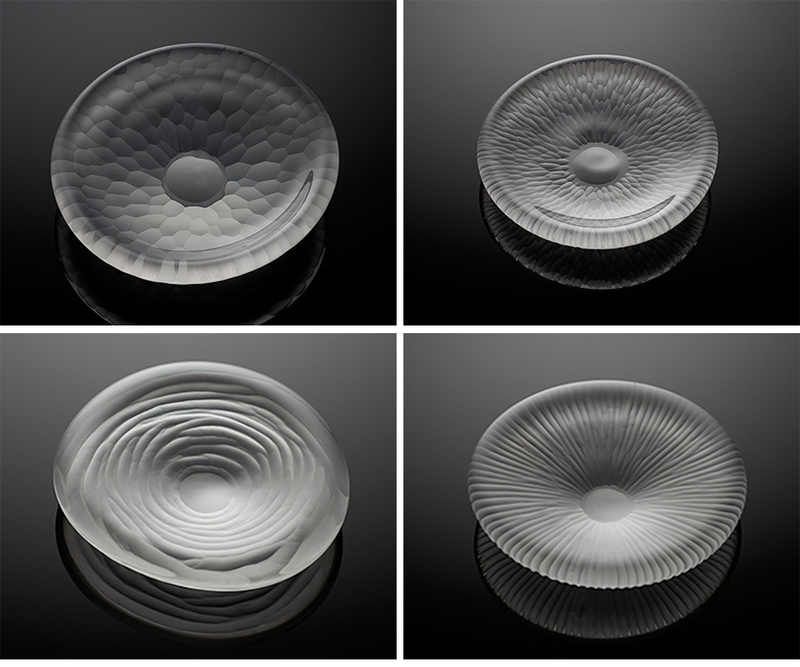 Each plate and bowl is hand formed in solid glass, one of four textures is then hand carved on the underside. The thickness of the glass creates an illusion, similar to water, magnifying the underlying texture and creating a natural and subtle movement with the pattern. The plates come in two different sizes and each is unique, being hand made by Vezzini & Chen in their London studio. The collection is available in the four signature textures; intaglio, spiral, line and geometric.